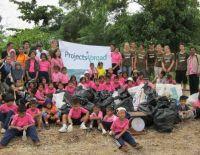 Peru Conservation Project Celebrates 10th Anniversary! 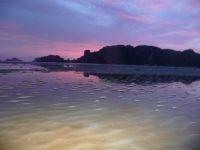 Thailand Conservation Reforestation Project Moves to Higher Grounds! Our Thailand Conservation Director, Ingrid Sprake, met recently with the founders of the Association of the Protection of the Environment (APE) and finalized details of an exciting new partnership. 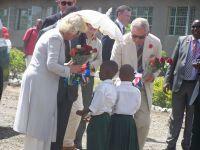 A Royal Surprise in Tanzania! Earlier this month, on Wednesday 9th November, our Projects Abroad volunteers were visited by members of the British Royal Family, his Royal Highness Prince Charles and his wife, Camilla at Leganga Primary school. The surprise visit from the Duke and Duchess of Cornwall was certainly a memorable and rewarding moment for local children and teachers, as well as our volunteers. Projects Abroad’s primate rehabilitation project, based in the province of Cordoba, is the only rescue center in Argentina solely committed to the rehabilitation of primates. 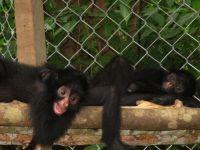 Volunteers have a unique opportunity here to work in the only reserve in the world dedicated to Carayá monkeys. 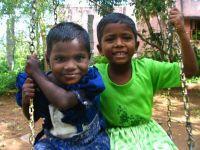 Projects Abroad India has organized Diwali celebrations at the Vallalar Illam orphanage in Srivelliputtur. Diwali is the most important holiday for millions of Indians. The 5 day long festival is also known as the Festival of Lights. Conservation Director, Ingrid Sprake, tells us about the new volunteer accommodation on the Conservation Project: ‘On 1st October we spent our first night at our new home, an eco-resort called The Dawn of Happiness situated on Ao Nammao beach about 5km East of Ao Nang and 15km South of Krabi Town. 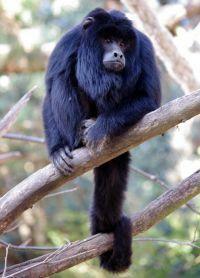 The Peru Conservation project continues to go from strength to strength. Our animal rescue center, which forms a large part of the conservation work at the Taricaya Lodge, (our base in the Amazon jungle), has recently been recognized as the best and most effective animal rescue center in the country by the Peruvian government. Projects Abroad has launched a new program in Ghana to encourage reading as a way of improving literacy. The ‘Read and Feed’ program inspires children to see reading as something that is enjoyable. 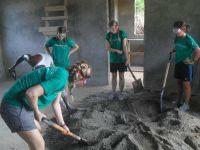 Now all new volunteers to Ghana are being asked to bring a book with them. Our conservation team and volunteers are going all out this year to help clean the reefs, beaches, mangroves and ultimately, the ocean. Working side by side with two international environmental organizations, namely The Ocean Conservancy and Project AWARE - Dive Against Debris, our staff and volunteers now have an even deeper purpose behind the weekly coastal and marine clean ups. School’s Not Out for Kids in Fiji! It may be school vacations in Fiji but at one school on the island of Suva, kids just couldn’t keep away. Volunteers on the Teaching program have just finished organizing a week long summer school. Recruitment Director, Ian Birbeck is spending 2 months working in the India office this summer. 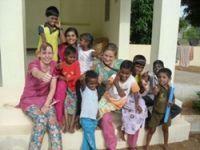 Here’s his report: ‘I have just spent my first week back in India working with Projects Abroad. It is always a culture shock. Projects Abroad recently had the honor of hosting famous wildlife expert Jack Hanna at our Conservation site in Peru to film an episode for his Emmy Award winning TV show Jack Hanna’s Into the Wild. Projects Abroad is pleased to announce our selection as a Recommended Organization for the America’s Unofficial Ambassadors (AUA) Mosaic Scholarship program. Projects Abroad volunteers are helping refugees from the Ivory Coast who have fled to neighboring Ghana. 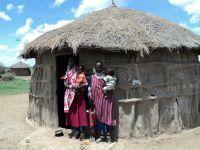 Over 2000 refugees have been registered in the Western Region of Ghana in the past month. However, up to 20,000 more are expected to arrive as the political crisis worsens in the Ivory Coast. Director of Projects Abroad Mongolia, Oko Togtuun was proud to collect an award for Best NGO working with children in Ulaanbaatar last month. Every year the Ulaanbaatar City Municipal Office presents awards to schools, kindergartens, NGOs and government organizations to show appreciation of their outstanding work with underprivileged children. Director of Projects Abroad PRO, Scott McQuarrie tells us about the latest developments. “Over the course of 2010 we have been developing our new skilled and qualified arm called Projects Abroad PRO. The main focus of Projects Abroad PRO is to connect professional volunteers with project partners in the developing world who will find a practical use for their skill. Projects Abroad is excited to announce the opportunity for two of our upcoming volunteers to be sponsored by the travel publication ShermansTravel! They have chosen the two lucky volunteers, but still have not reached their goal of 5000 fans on their Facebook page. If they do, the two can go, but the deadline is January 15th!